January 30, 2018 -- The use of chest CT to spot pulmonary embolism (PE) in hospital emergency department patients has continued to rise, despite a trend toward lower diagnostic yield during the same time frame, according to a study published online January 24 in the American Journal of Roentgenology. Dr. Arjun Venkatesh from Yale University. In an observational analysis, researchers from Yale University evaluated trends in chest CT use for Medicare beneficiaries who visited the emergency department with a suspicion of pulmonary embolism from 2000 to 2009. The rate of chest CT scanning increased fivefold during this period, whereas the positive yield for diagnosing pulmonary embolism increased only for a couple of years before steadily heading downhill (AJR, January 24, 2018). The inverse relationship between CT utilization rate and positive diagnostic yield for PE demonstrated wide variations when additionally categorized by U.S. region and physician characteristics, first author Dr. Arjun Venkatesh told AuntMinnie.com. "We found a consistent relationship in which physicians utilizing more CT imaging also achieved lower diagnostic yields, and this relationship was in part explained by physician experience," he said. "Improving care will require standardization to reduce variation between providers, particularly less-experienced physicians." Between 1996 and 2007, the utilization rate of CT in hospital emergency departments in the U.S. increased by 330%, and this percentage continues to grow, according to the authors. Yet CT use in the emergency department is marked by notable variation and inefficiency -- conspicuously so in the case of CT pulmonary angiography, which physicians order inappropriately nearly a third of the time. Recent research has also confirmed that routine CT for suspected pulmonary embolism is not cost-effective and exposes patients to unnecessary risk. Multiple quality measurement and improvement initiatives to counter this inefficiency are underway, but more analyses are needed. 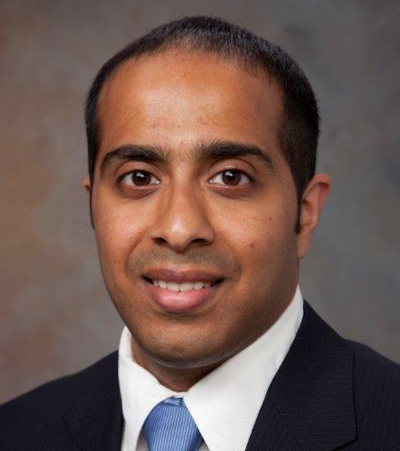 Seeking to expand upon this research, Venkatesh and colleagues assessed patterns in the usage rate and diagnostic yield of chest CT for more than 160,000 Medicare patients with suspected pulmonary embolism who underwent examination in the emergency department from 2000 to 2009. The approximately 44,000 physicians from 306 U.S. hospital referral regions detected pulmonary embolism in 6.2% of these patients. For the analysis, the group focused on two outcomes: chest CT utilization in the emergency department for suspected pulmonary embolism and its diagnostic yield, i.e., the proportion of chest CT studies with a positive diagnosis of PE. The utilization rate of chest CT for suspected PE gradually increased by roughly 0.36% of the population per year from 2000 to 2009, the researchers found. The diagnostic yield, on the other hand, sharply increased from 2000 to 2002, after which it primarily declined until 2009. By the end, the diagnostic yield almost returned to its starting percentage in 2000. "Initially, using more CT scans appears to have helped diagnose more patients with pulmonary embolism; however, later increases in imaging were associated with lower diagnostic yield, suggesting less efficiency in practice," Venkatesh said. Taking the analysis one step further, the researchers classified the data based on hospital characteristics such as ownership (nonprofit or for profit), location (urban or rural), and teaching status, as well as physician qualifications, including years of experience, board certification, and ranking of medical school attended. They reported higher CT utilization and lower diagnostic yield among hospitals located in urban areas compared with rural areas, which points to the possibility that rural hospital imaging practices may be more efficient for this scenario than those found in urban communities. "Future research should explore the causes of these hospital-level differences, including the degree to which different types of hospital-based [emergency departments] use CT differently in providing access to acute diagnostic imaging services," the authors wrote. The results also revealed that physicians with more experience and those with board certification in emergency medicine performed CT for pulmonary embolism at a decreasing rate while obtaining a higher diagnostic yield. This trend corroborates the results of a study by Chong et al indicating that physicians who order fewer CT exams have a higher rate of detecting pulmonary embolism. Collectively, these outcomes suggest that guidelines for when to use CT in cases of suspected PE might best be developed on a local basis among individual clinicians or hospitals rather than across a region, Venkatesh said. Looking to the future, the authors recommend pairing diagnostic yield with the usage rate of other imaging studies to provide clinicians with a more balanced target for clinical decision-making. Continuing research may also help clarify more current trends that would not be influenced by major changes in diagnostic testing availability and guidelines for suspected PE in the emergency department that took place during the 2000 to 2009 period. "The implication [of the findings] is for policymakers to avoid taking a narrow view of imaging use limited to utilization and cost, but rather to consider diagnostic yield as a clinically relevant quality measure that can improve efficiency without ignoring the clinical value of imaging," he said.